Actor Dennis Quaid grew up in the baptist church. He read the Bible cover to cover and was baptized at the age of 9. Quaid always loved the music in church and dreamed of writing his own Christian song for his mother. That was over 25 years ago and today, Quaid has finished that song and it's absolutely touching. After starring in the film 'I Can Only Imagine' based on the hit MercyMe song, Quaid was inspired to take a look at his own faith and the journey he had been on. While on set, he found the missing piece to the song he had started so long ago and 'On My Way To Heaven' was made. He recorded the touching song and sent it to his mom for her 91st birthday. It's absolutely incredible how 'I Can Only Imagine' has touched so many hearts around the world and now it's spawned even more worship songs to praise His name. 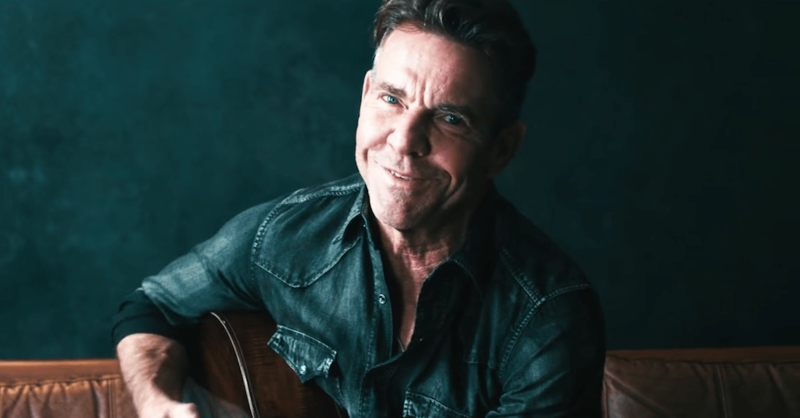 I'm so glad that Dennis Quaid was able to finish this tune and it's definitely one you don't want to miss. Click Here for MORE Popular Christian Videos!